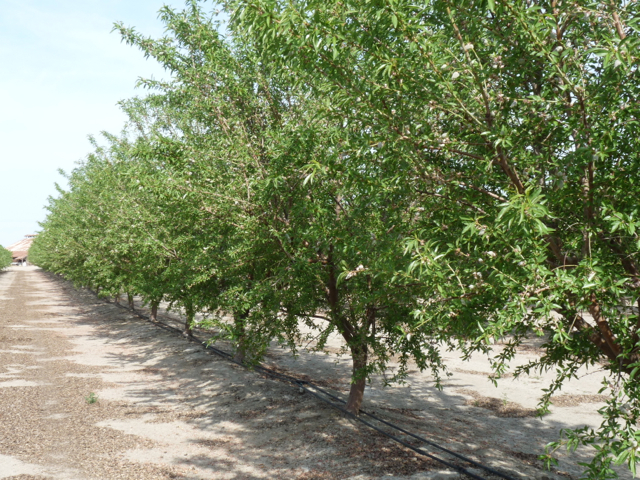 Comment Period Reopened for Almond Assessment Increase Through October 12. Julie Adams, vice president global, technical, and regulatory affairs with the Almond Board of California, commented in an exclusive interview with California Ag Today on the proposed additional one cent almond assessment increase from 3 cents to 4 cents a pound by the Board of Directors to use in marketing the anticipated crop increases over the next three years, starting this season. The proposed rule change was first published in the Federal Register on July 18, 2016. The comment period was reopened on Sept. 12 with an announcement in the Federal Register. The comment period is open for 30 days, ending Oct. 12, 2016, at midnight, Pacific Standard Time (PST). California Ag Today (CAT): Where do almond growers go to make comments about the increased almond assessment? Adams: Growers can go to www. regulations.gov and search for almonds. CAT: The first comment period in August was only two weeks. How long will this one last? Adams: The new comment period is now open and will be stay open until Oct. 12. We have also sent out notifications to handlers and we’ve included it in our communication to growers. CAT: Why did the comment period reopen? Adams: Basically this discussion has been going on for quite some time, actually, and started with planning and strategic meetings within the production and environmental research committees. Some of this discussion also started back a year ago when we were talking about all of the challenges facing the industry related to environmental issues, water requirements, and sustainability issues. And then, of course, with the anticipated increase in crop size, what was that going to mean in terms of keeping demand growing ahead of supply? Discussions at strategic planning meetings underway and within our global market development committees, started feeding up to the Board recommendations that we really needed to get ready both for the challenges facing growers as well as building that [market] demand. It was at that time that the Board started talking about an increase in the assessment for a specific period of time. We recognized that crops were increasing, and to get us through this period, we really needed to accelerate our activities. The increased assessment was approved by the Board several months ago and was published in the Federal Register. It was, at that point, a two-week comment period. While there had been a lot of communication out to the industry, the comment notification had not been sent out in a timely fashion as it needed to be since it was such a short comment period. Based on that, as you’ll see from the reopened comment period, USDA determined that they would go ahead and reopen the period for 30 additional days. That’s the process we’re in right now. CAT: One argument against the assessment is that the almond industry is heading into big record crop, and the 150,000 to 200,000 non-bearing acreage will soon be bearing—and that alone is sure to increase the Almond Board’s marketing budget. Adams: It does. What we have found throughout our programs is that the more we can start building consumer awareness and demand for the product, it’s going to be ready as those crop sizes increase. We really want to be ahead of that supply situation so that we’re not trying to chase the opportunities in the market. We want to make sure there’s a strong foundation. As crops are more available, customers are ready to take in that product, really ready to put more on the shelf for consumers, and hopefully [meet] increased demand from consumers. I think the other part of this assessment increase is about what’s happening on the production side. Research takes time and growers are facing more challenges now in terms of water availability, water quality, production issues, and environmental concerns. There’s more pressure on growers now than ever before. Part of this assessment increase for this three-year period is really to accelerate a lot of the research and work that’s underway on irrigation practices and harvesting practices, and to ramp up our food safety education. We’ve got the Food Safety Modernization Act (FSMA) coming on board now—a requirement starting to put additional burdens on the industry. With all of that happening, the concern is that we really need to get in front of all of this. The idea is to do that with some additional funding, so while we’re keeping up our ongoing programs, accelerating some of this research over the next three years will put us in a position, when we do come into those larger crops, where we will already have a lot of those programs in place and we will have accelerated the research so we can continue to meet a very demanding market. CAT: We can see the need to increase our momentum in research and marketing. Of course, the vast majority of the Almond Board’s budget is for marketing right? Will the vast majority of this extra assessment go toward global marketing? Adams: The global marketing demand portion of the budget is over 70%. That includes more than just market development. 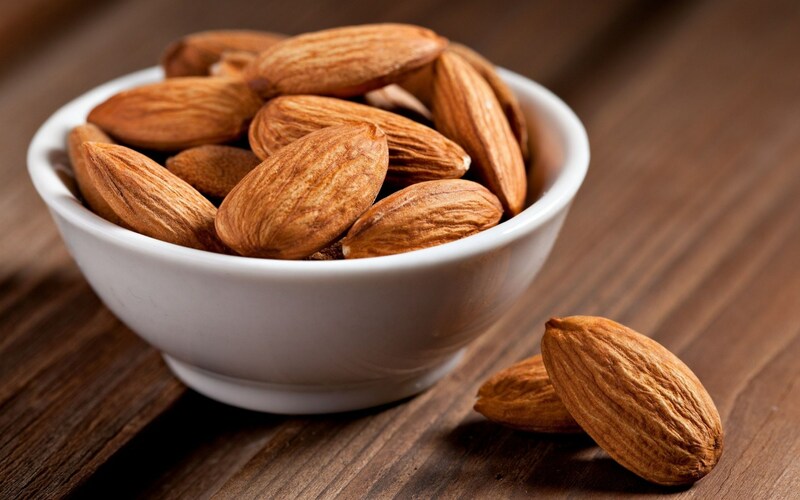 It includes a lot of consumer research, attitudes and awareness research It also includes a lot of the investment we’ve made lately on reputation management—how consumers really perceive almonds and how we need to best communicate back to consumers about what our industry is doing. CAT: Obviously there is not going to be a vote on the added assessment. There is going to be a comment period, and if the USDA approves the assessment, it will go forward. Adams: It was a unanimous recommendation coming forward from the Board of Directors and from a number of committees that included industry members that made recommendations to the Board of Directors. Obviously the Board is responding to the strategies and recommendations coming through the committee process. That’s what the Board unanimously endorsed and put forward in a recommendation to the Agricultural Marketing Service (AMS), and USDA. Now based on the comments that start to come forward through this period, then USDA will assess all of that and publish a final rule, a final determination, after the comment period closes. CAT: If the added assessment is for this season, the USDA will have to turn it around very quickly? Adams: They would. Obviously the USDA is monitoring this comment period and will respond to the comments and the issues expressed by individuals who are commenting on the rule. They will reflect their thinking as they come forward. CAT: If there is a big mixture of No and Yes comments, is it possible that the comment period will stay open past the 30 days to get a consensus? Adams: I think the USDA will look at the issues and the context of the comments. If the comments are more about clarifications and they feel what has been proposed will deal with those concerns or areas of focus, then they will look at that and make a determination. I really couldn’t say whether they would go forward with an additional comment period. CAT: And the additional assessment will automatically sunset in crop year 2018/2019? Adams: Exactly, and it would go back to the current 3 cent assessment. Really nothing has to be done for that to happen and that’s why the industry put in that sunset period. The Board does not have to vote on it; there does not have to be any further consultation. It will automatically go back to the 3 cent assessment. UPDATE: September 1, 2016. The U.S. Department of Agriculture’s (USDA) Agricultural Marketing Service (AMS) is seeking nominations of 15 growers and shellers (handlers) to serve on the American Pecan Council. Members of the council will be appointed by the Secretary of Agriculture to administer the federal marketing order with oversight by AMS. Nomination forms are available on online at https://www.ams.usda.gov/rules-regulations/moa/986-pecans or by contacting AMS at (863) 324-3375. Completed nomination forms must be received by AMS no later than Sept. 6, 2016. Forms may be submitted by mail to USDA, AMS, Marketing Order and Agreement Division, 1124 First Street South, Winter Haven, Fla. 33880 or email Jennie.Varela@ams.usda.gov. Deadline for background statements (Nominator should seek to gather this document from the Nominees as soon as someone agrees to be nominated.) Only those with completed background statements can be sent forward on the selection order to the Secretary. H ow will Nomination Forms be made available? Upon approval by OMB, official forms will be posted on the USDA website, mailed to growers and shellers on current USDA lists, and posted on the American Pecan Board website. Who can nominate? Any grower within a region can nominate another grower within the same region. Any sheller within a region can nominate another sheller within the same region. Who is a grower? A person who has produced an average of 50,000 lbs. of inshell pecans over the last four years or who has 30 pecan acres. All production or acreage must be within the 15 state production area (domestically produced). Who is a sheller? A person (entity) who has shelled at least one million lbs. of domestically produced inshell pecans in the prior fiscal year. What determines a large grower and small grower? A large grower is defined as having pecan acres equal to or more than 176 acres, and a small grower has less than 176 acres. What determines a large sheller and a small sheller? A large sheller is defined as having handled 12.5 million lbs. or more of domestically produced inshell pecans in the prior fiscal year, and a small sheller is defined as having handled less than 12.5 million lbs. of domestically produced inshell pecans in the prior fiscal year. If a grower grows pecans in more than one region, in which region can he/she be nominated? In the region in which he/she grows the largest volume of their production. If a sheller handles pecans in more than one region, in which region can he/she be nominated? In the region in which he/she handled the largest volume of domestically produced inshell pecans within the preceding fiscal year. Can a vertically integrated pecan operation (grows and shells) be nominated as a grower and a sheller? No, a decision must be made by the person (entity) being nominated whether to be nominated as a grower or a sheller. Who nominates the candidates for the accumulator and public member seats? Once the 15 member Council is seated, they nominate candidates for the accumulator and public member seats.